1 euro = 630 Chilean Peso (CLP) and 1 USD= 525 Chilean Peso (CLP). In both Argentina and Chile I’ve paid most of the bills cash. Sometimes I’ve tried to pay with the credit card, but they said that both credit cards (Visa and Master card) didn’t word. Sometimes they wanted the secret pin associated with the credit card. I’ve used in most of the cases the Visa card from German bank DKB and I could retire money without any fee. However some banks did not accept it. You have to try several banks. Make sure that you have enough money for Torres del Paine and for Parque Pumalin, there is no ATM there. In El Chalten there is only one ATM. Please check thePractical Hints Buenos Aires regarding small bills in BA. Please check Trip Planning for the flight, bus, ship and boat reservation. I had some problems getting to and coming back form Parque Pumalin. Please check the Puerto Montt/ Parque Pumalin site. I had booked in advance the cross country trip form El Calafate to Puerto Natales per email with the bus company Cootra and all the flights. Basically when I arrived in a place I’ve booked the bus for leaving that place and this worked very well. Everything went fine except the times changes on the flights. But I’ve heard in advance about this and was prepared. because i have problems with my back i didny want to carry anu food or camping stuff. i have carried just my clothes an my camera all together ca 7 kg. The smartphone was very helpful during the trip. 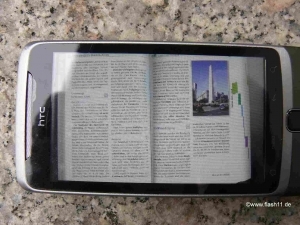 First of all I’ve used it as a kind of ebook reader. I’ve scanned the relevant documentation in jpg format and stored it on the phone. Like this I had always the relevant guides with me and it was better then a „normal“ ebook reader because I could combine information for a given place (eg Buenos Aires) from several books. It worked excellent. I was happy that I could use the smartphone as a phone too. For this purpose I’ve bought in both countries a prepaid sim card (sim prepago) from the company Claro. It costs ca. 5 euro and you can use it for phone calls at normal rates within that country. It worked very well. I needed several times the phone eg for announcing that I will arrive late, for calling a taxi, for checking a reservation etc. Initially I wanted to use the offline navigation on the smartphone but the GPS positioning system didn’t work. However there are not so many roads so that finally I didn’t need the navigation. All the hotels, hostals and B&B were I stayed (except the cabanas in Torres del Paine) had wifi/internet. However the quality was very different. Sometimes the connection broke down when I was trying to load the google homepage. In these cases I went to an internet call center. But there again the quality was very different. In some cities I had to change three times until I found a good internet call center. For dinner I’ve tried to eat fish as often I could. 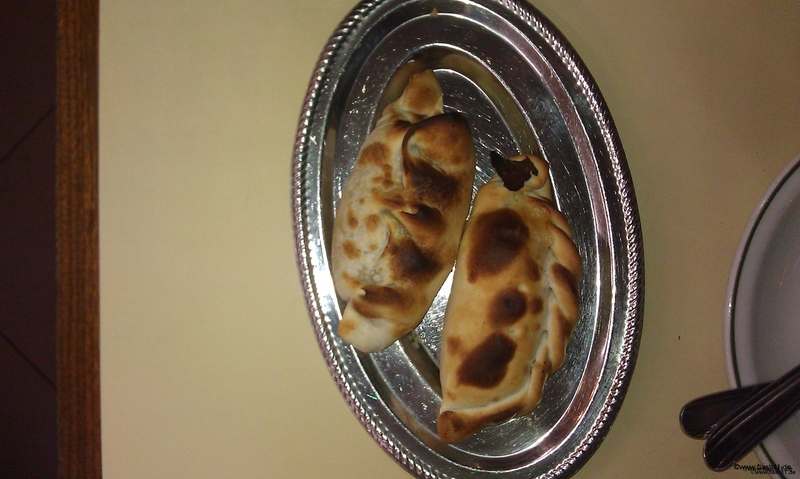 In Buenos Aires, Puerto Madryn and in Puerto Montt I ate merluza (engl: hake, german Seehecht) in Bariloche I ate trucha (engl: trout, German: Forelle) without bones with and in Iguacu I ate surubi (out of the parana river) all these a la plancha (grilled). 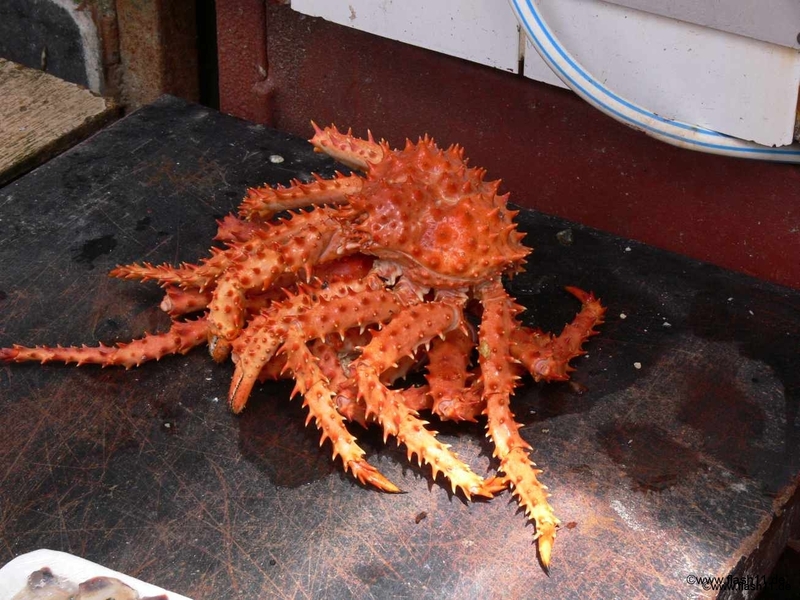 Fish is much cheaper then in Germany (a fish with side dish costs ca 13 euro).In Punta Arenas I ate an excellent king crab. 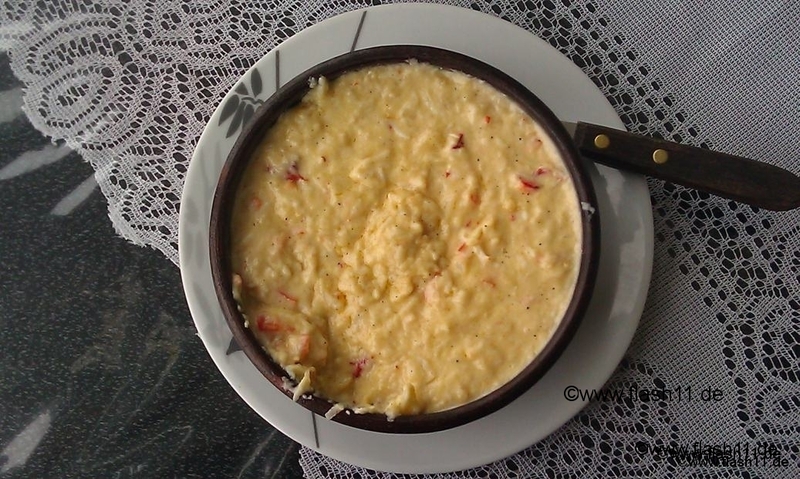 They have a kind of king crab with cheese soup called chupe. I’ve ate ca 5 times lomo (steak). The best one was by far in Bariloche. Sometimes I had just a pizza or a hamburger. For lunch I ate most of time a sandwich with cheese and ham sometimes a was successful in finding an ensalada (salad). 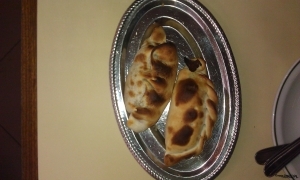 In Buenos Aires I ate and for Parque Pumalin I bought empanadas. 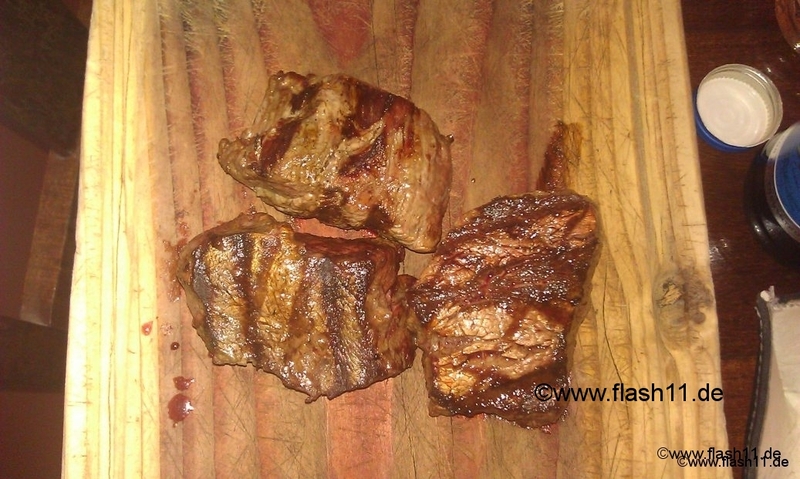 I’ve liked most that one with carne (meat). 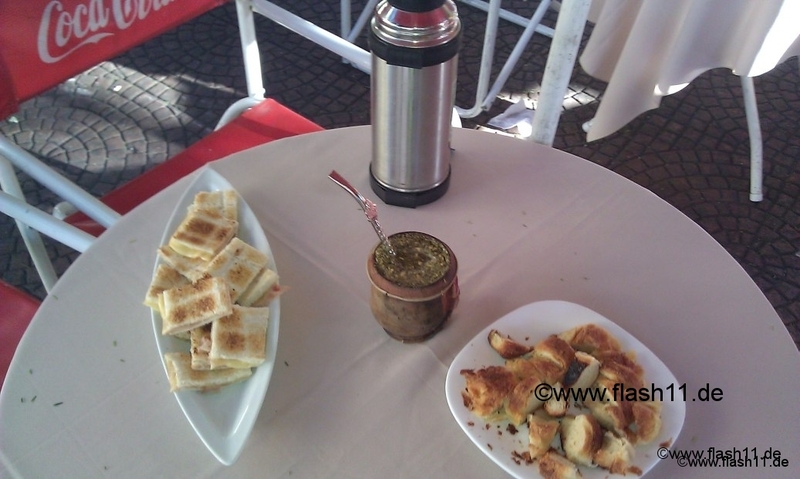 The national drink in both Argentina and Chile is mate tea. I saw a lot of people in Buenos Aires walking around with a thermos jug and didn’t know what it is for. 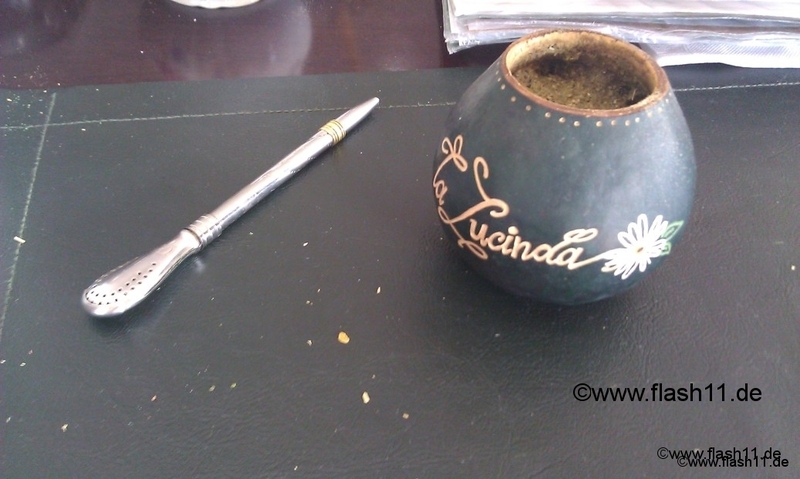 Mate tea is pored in a kind a cup and drunk with a kind of pipe called „bombilla“. They keep poring warm water into the cup. Me gusto mucho! (I like it very much). I didn’t speak Spanish before this trip. I do speak French, Romanian, German and English. So I took a Spanish course and did some self learning and was very happy that I did this, because Spanish is necessary on such a trip. To make things more complex, you normal learn Castllian Spanish but the Argentinian and Chilean people use especially for food local terms. Only the hotel personnel speak a little bit English. People in hostels and B&B’s and on the street do not speak English (or any other language) at all. I have taken several students hitchhikers and none spoke English. You could come through without English but I am sure that you would lose a lot of information. locro is a stew out of vegetables, meat and lamb. I had two backpacks: One Deuter Comptition 65 (65 Liter) and one Mammut (40 liter). The reason for this is that during the trek in Torres del paine I had left a lot of things in Puerto Natales in the large backpack and took only the small one with me. The large one had fully packed ca. 30 lb and the small one 15 lb. I was very happy that after several tests I’ve found two backpacks which didn’t stress to much my back. 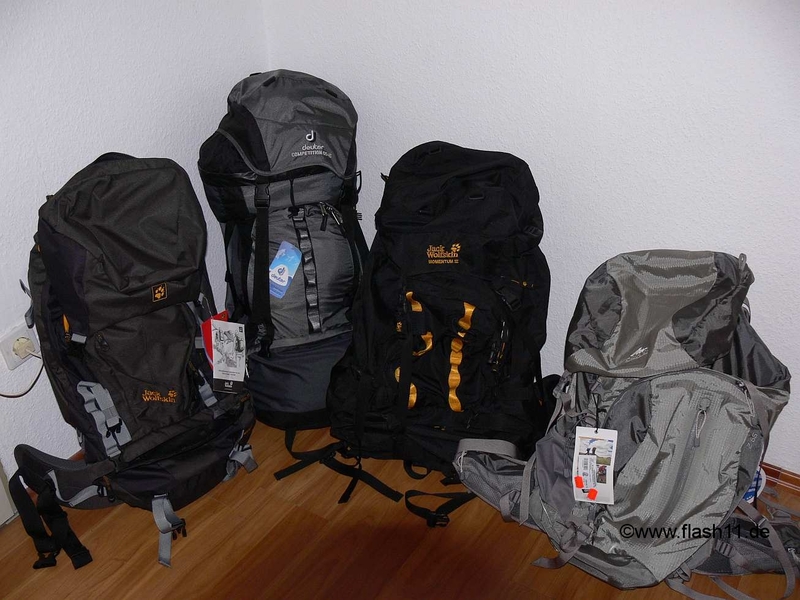 Thanks to the shop globetrotter.de which allowed me to test five backpacks during one week and chose two of them. Out of the 30 lb ca. 10 lb were cameras, computers, cables and other electrical devices.